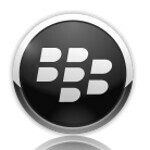 Citing its need to make an adjustment due to currency fluctuations and to keep pricing competitive, RIM has lowered the minimum price on its lowest BlackBerry World tier. The first two currencies to be affected are the Great British Pound and the Euro, and RIM says that the new pricing deals with updating changes to individual currencies and accounting for VAT charges. The new minimum price for paid apps priced in GBP will be .75 GBP, down from 1 GBP. That is a 25% reduction.For those apps priced in Euros, the change will vary depending on the country involved. For example, in France the lowest tier will now be .89 EUR from .99 EUR previously which is a reduction of 11%. RIM says that the price change is automatic and that developers do not have to lift a finger to implement it. Additionally, the new pricing is taking place for all BlackBerry OS builds, not just the upcoming BlackBerry 10. The Canadian manufacturer says that there is a delay of up to 24 hours before the new pricing will appear on BlackBerry World and added that developers who wish to change the pricing of their apps in any country, can do so through the BlackBerry World vendor portal. While only the Pound and the Euro are affected with this announcement, reductions in the tiered pricing for other currencies like the U.S. Dollar, are expected soon. 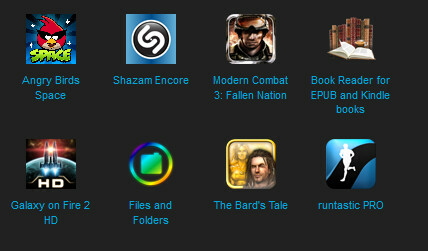 BlackBerry World is the new name for RIM's online app store that was formerly called BlackBerry App World. BB10 will eat WP8's dust friend. It's hard to believe with you avatar. Well, it's true regardless of your beliefs. and that's your belief. Besides, you probably haven't even used BB10 yet. lol, it will be the 4th ecosystem! that OS is almost 3 year old but it's market is still one digit! and it's ecosystem is still not that big! still stuck at 100,000+ while BB10 might really have that 70,000 coz of vast developer's support!! and this year, it's all about Unix/Linux!! look at that.. go blackberry show the world what a great phone u will have of us... go blackberry!!!! BBM is the only ace up RIM's BB10.. We'll see if it proves competitive.v Windows Phone has more aces than BB this time I think. have you seen the voice control on BB10? it put siri to dust! more ace? what ace? nokia? im a nokia fan but i think im not anymore since today's nokia is no longer the nokia that i know! the nokia today is ruin and it is now called nokia lumia! no longer a nokia! the real nokia are symbian phones and even maemo/meego phones! the software that nokia develop! and as long as elop is with nokia lumia, i'll say they cant bring their best again! back in 2010/2011, when symbian still holds a respectable 31% and WP has 1%, he's stupid of letting go of symbian and not support it and make it modern, since symbian today, symbian belle is already on the date with its UI and smoothness! instead of supporting symbian he let it go, and go to an OS that they still have to pay for license... symbian is still the most powerful mobile OS out there, there are things that android and iOS even BB7 WP cant do that only symbian can! on contrary, samsung is making an effort(?) with its own software, tizen, so that it will be their alternative to android and WP, so that they wont depend on these platforms! this is what noia should do, but as long as elop is there, this will never happen, he only thinks of the happiness of microsoft but not on nokia! a sad story of symbian! RIP SYMBIAN!! but you will still live forever in my heart!